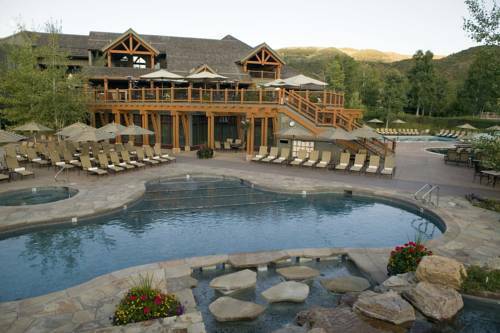 Step into the Villas at Snowmass Club the perfect Rocky Mountain retreat. Deluxe one- two- and three- bedroom villas await your arrival offering beautiful mountain views that will take your breath away. Our attentive staff will pamper you with exceptional service and warm Colorado hospitality. Our country club amenities will simply captivate you. Invigorate yourself in our 19000 sq.ft. athletic club complete with four pools - indoor and outdoor hot tubs - spa services and dozens of fitness classes. Youll stay as busy - or relaxed - as you want to be. In the winter take in the fresh mountain air on our cross-country ski trails or hop on the high speed quad only two minutes away to enjoy the downhill skiing experience. In the summer watch your ball soar through the thin mountain air on our 18-hole golf course or eleven outdoor tennis courts and two indoor Har Tru courts. The possibilities are endless... hiking- biking- fishing-rafting-horse-back riding- hot air ballooning world-class cultural events and more. Located in the pastoral beauty of Snowmass Village only 8 miles from Aspen youll enjoy easy access to all the mountains have to offer as well as transportation to and from the Aspen Airport daily maid service on-site Kids Club and restaurants To check in after hours there will be a lock-box and outdoor phone at the Villas welcome center Picking up the phone will connect with our one call front office agents They will walk through the check in process and assist with your welcome packet. Villas Meeting Room: A 616 sq. ft. space at the Villas center, with an attached small catering room with sink refrigerator and a limited amount of countertop space. Nestled in an intimate valley high in the Elk Range of the Colorado Rocky Mountains Snowmass Village is a magical place. Enjoy all that nature has to offer while participating in a variety of recreational or cultural activities.